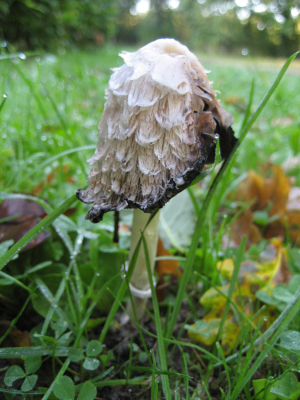 Shaggy inkcap seen this morning growing in grass by the roadside. When I first saw this fungus yesterday it was a small tumescent little thing, and today, exactly 24hrs later, it is already aged and turning to ink as you can see in this picture. Amazing!